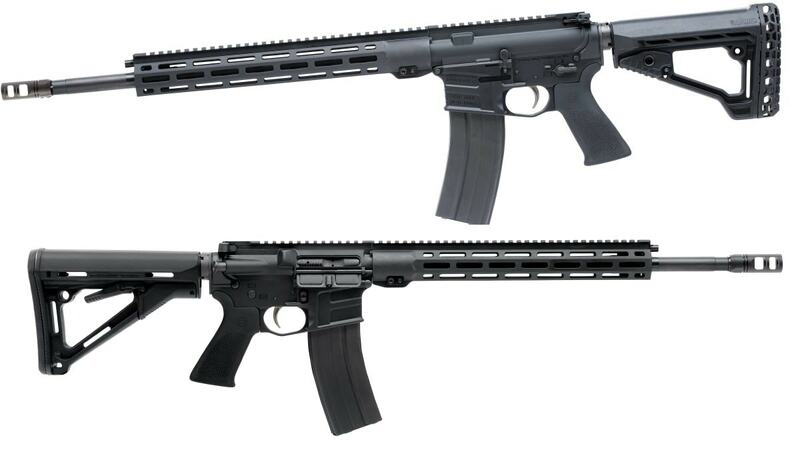 Offered in .224 Valkyrie, .22 Nosler, and 6.8 SPC, Savage‘s new MSR 15 Recon LRP rifles are designed to stretch the platform’s performance envelope. All Recon LRP models feature a Melonite QPQ 18-inch barrel with 5R rifling and a 1-in-7-inch RH twist inside a free-float M-LOK handguard. This is longer than the 16.1-inch barrels on the .223 Wylde-chambered legacy Recon. Further, the .22 Nosler and .224 Valkyrie models of the new LRP also have an adjustable gas block that can be user-customized to specific ammunition loads. Other standard features of the MSR 15 Recon LRP are a two-stage trigger, Magpul CTR buttstock, two-stage trigger, and Hogue pistol grip. When it comes to specs, the Recon LRP have an overall length of between 35.25- to 38.5-inches by means of their adjustable Magpul buttstock. Each come standard with a tunable muzzle brake. Weight is 7.5-pounds with a 25-round detachable magazine. MSRP on the MSR 15 Recon LRP is set at $1,249 across the line regardless of the caliber which is $250 more than the shorter .223-chambered standard Recon. 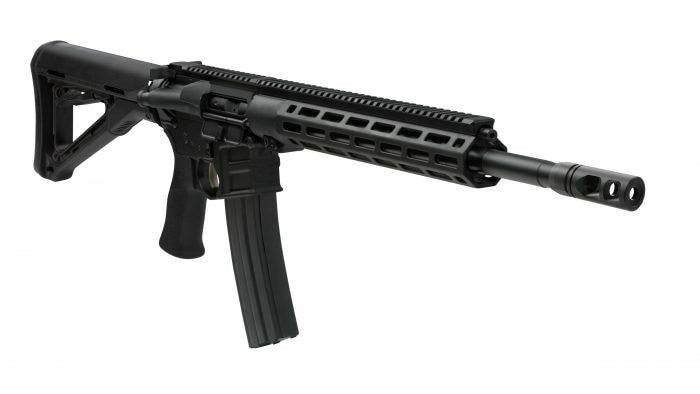 The MSR 15 Recon, top, was introduced in 2018. 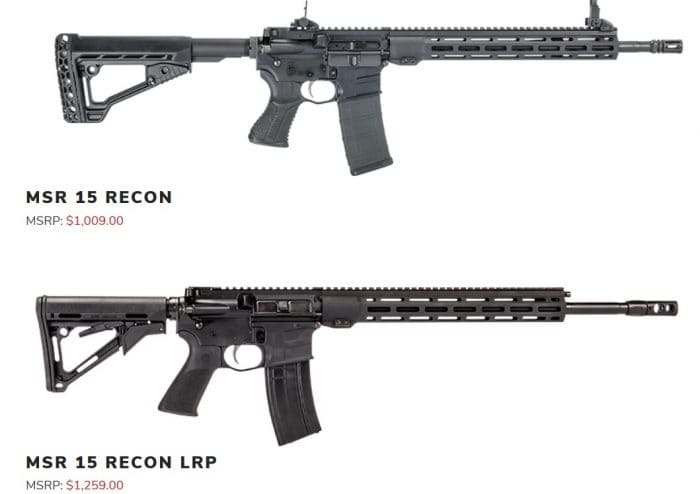 The new MSR Recon LRP is longer and offered in upgraded calibers.